What it is formulated to do: This ultimate skin healing moisturizer has a silky smooth, calming feel as it hydrates, soothes and repairs sensitive, irritated skin. Luxurious texture with exceptional skin absorbing qualities. Formulated with a host of skin nourishing and moisturizing actives including silk peptides, honey extract, vitamin E, hyaluronic acid, camellia oil, emu oil and rice bran oil. 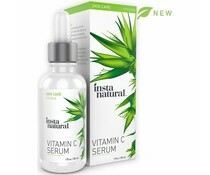 Ingredients: Distilled water, Hyaluronic Acid, Camellia Oil (Camellia Sinensis), Pure Emu oil, Pure Jojoba oil (Simmondsia chinensis), Rose Water, [Bees wax, HE Cellulose, Polyglyceryl Oleate], Vitamin E, Vitamin C (MAP), Honey Extract, Silk peptides, Watermelon extract (Citrullus Lanatus), Silk amino acids, Grapefruit Seed Extract, Lactobacillus Ferment. Usage: Use twice daily, morning and night. Apply a small amount of cream unto face. Gently massage unto face using upward, circular motions, until cream is completely absorbed.Spoon Applicator is included with item to prevent against contamination. Use when applying product and rinse thoroughly before next use. 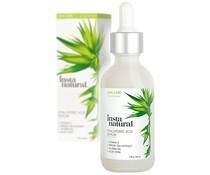 Pure Hyaluronic Acid: highly praised for its ability to "reverse" or stop aging. Hyaluronic acid was nicknamed "key to the fountain of youth" because it is a substance that naturally occurs in humans and animals. As you age the level of hyaluronic acid present in your body gradually diminishes. Honey Powder Extract: Natural antiseptic due to its tendency to absorb the moisture out of bacterial cell walls. Attracts dirt that lies in skins pores and helps remove dead epidermal skin, making it a great cleansing active. Pure Emu Oil: Emu oil contains powerful antioxidants, and skin cell regenerating agents that help diminish and prevent the early signs of aging. 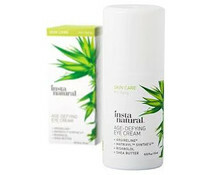 Has excellent moisturizing properties and is non-comedogenic. 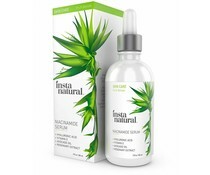 It has been clinically shown to accelerate the healing rate as well as improve the overall result of chemical peels.